The panel highlighted two NOAA studies recently published in PLOS ONE that highlight the vulnerability of marine fish and invertebrate species such as American lobster and scallops on the U.S. Northeast Shelf to the effects of climate change. Both studies illuminate important trends in species adaptation that will help inform future management decisions in the region. The first study, led by Jon Hare, examined 82 species that are found off the Northeastern U.S., where ocean warming is occurring rapidly, and ranked them in one of four vulnerability categories: low, moderate, high and very high. The mix of species in the study includes all commercially managed marine fish and invertebrate species in the Northeast, all marine fish species listed or under consideration for listing on the federal Endangered Species Act, many recreationally fished species such as summer flounder, and a range of ecologically important marine species such as alewife. Researchers in this study, found that most of the species evaluated will be affected by climate change, but that some are likely to be more resilient to changing ocean conditions than others. The goal of the study was to identify specific attributes that influence the resilience of different species to a warming ocean and characterize the risk posed to individual species. The intent is to be able to better incorporate this information into stock assessments and to account for climate effects in new fishery management measures. One important finding of Hare et al. is that species that are “generalists” may be less vulnerable to climate change than those that are “specialists.” Atlantic cod and yellowtail flounder were considered to be moderately vulnerable generalist species because they can eat a variety of prey, use diverse habitats and may be able to shift to occupy more suitable habitat as climate changes occur. 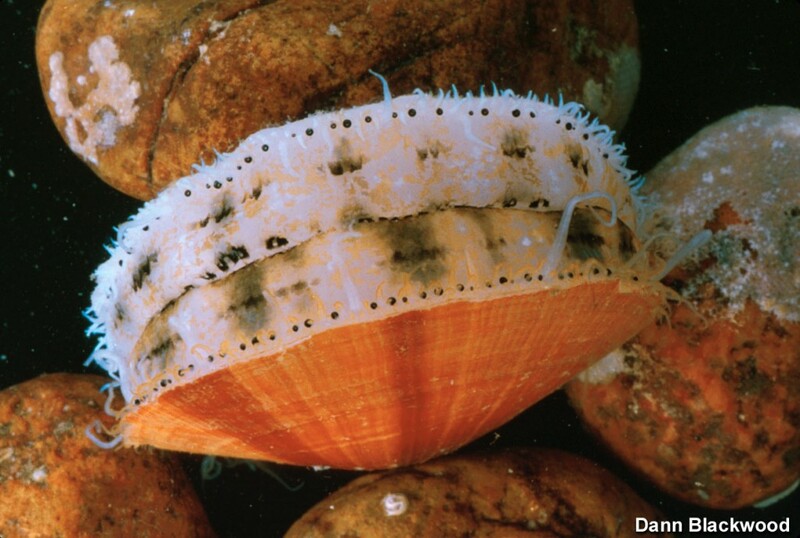 Conversely, Atlantic sea scallops were classified as specialists that have limited mobility and may be highly sensitive to potential ocean acidification, and therefore are highly vulnerable to climate change effects. Understanding the vulnerability of different species can be important for fisheries management – those that are more vulnerable to climate change may require more precautionary management measures in the future. The study noted that many species are likely to shift their spatial distributions as a result of climate change and that these shifts may be widespread and likely to continue for the foreseeable future. The second study, led by myself, took a more spatial approach to evaluating the pace and magnitude of climate change effects for species on the U.S. Northeast Shelf. In this study, the researchers classified almost 70 demersal species into four distinct groups, or assemblages, based on oceanographic characteristics from the Northeast Fisheries Science Center (NEFSC) bottom trawl surveys. The study hypothesized that groups of species characterized by similar temperature and depth preferences would exhibit similar responses to climate effects. The team compared observed historical shifts in species distributions from the late 1960s to the present with concurrent shifts in temperature to determine whether consistent responses to climate change were visible within the species groups. The researchers found that there were consistent patterns in the direction and rate of shifts within the species assemblages in each region. Species associated with warmer, shallower waters in the Mid-Atlantic Bight and Georges Bank were shifting strongly northward, tracking shifts in temperature bands along the shelf. In contrast, species in the Gulf of Maine were shifting to the southwest, possibly tracking the cooler bottom waters in this area of the Gulf. Additionally, species in the Gulf of Maine associated with cooler and deeper waters tended to shift deeper, taking advantage of the variable bottom topography in this region. The results of both studies indicate that there will be some potentially major changes in the complex array of species occupying different regions of the U.S. Northeast Shelf. The studies also show that these changes will depend both on the pace of climate change and on the ability of the species to adapt or shift to maintain their preferred habitat. Other factors such as the spatial distribution of fishing pressure and species interactions are also likely to be important. Collectively, these changes will result in important ecological, economic, social and natural resource management challenges throughout the region. Understanding the vulnerability of species to climate change and how species have shifted relative to temperature changes can provide critical information for the development of management strategies in response to climate change. This entry was posted in Domestic, New England and tagged Climate change, climate change and fisheries, climate vulnerability, Fisheries, George's Bank, Gulf of Maine, Lobster, NEFSC, Scallops. Bookmark the permalink. Both comments and trackbacks are currently closed.